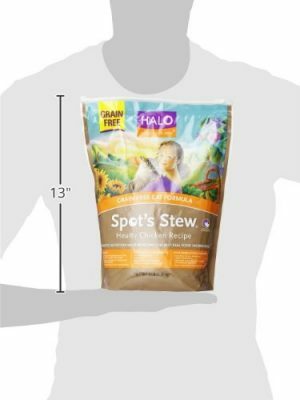 Since Halo changed their dry food “Stew Hearty Chicken formula” to the new “Holistic Chicken & Chicken Liver” recipe, I decided to make a review of this new cat food to let you know what I think about it and if I can include it on the list of healthiest dry cat foods. Halo changed the main 5 ingredients and also changed the guaranteed analysis in some nutrients. It still offers animal protein in the first 3 ingredients and it’s a grain-free formula which is appreciated. Chicken, chicken liver, dried egg product, dried peas, dried chickpeas, soy protein concentrate, dried potatoes, natural flavor, flaxseed, pea fiber, potato protein, chicken fat (preserved with mixed tocopherols), salmon oil, calcium sulfate, dicalcium phosphate, dried Bacillus coagulans fermentation product, dried blueberries, dried cranberries, dried carrots, dried sweet potatoes, salt, inulin, vitamins, potassium chloride, minerals, taurine, mixed tocopherols (preservative), l-ascorbyl-2-polyphosphate, L-Carnitine. Chicken, Eggs, Pea Protein, Vegetable Broth, Chicken Fat (preserved with mixed tocopherols and citric acid), Whole Peas, Chicken Liver, Flax seed, Salmon Oil (preserved with mixed tocopherols), Pea Fiber, Sweet Potatoes, Apples, Green Beans, Carrots, Blueberries, Alfalfa, Cranberries, Zucchini, Calcium Sulfate, DL- Methionine, Potassium Chloride, Taurine, Inulin, Salt, Vitamins (Folic Acid, Vitamin A Supplement, Vitamin D3 Supplement, Vitamin E Supplement, Vitamin B12 Supplement, Choline Bitartrate, Niacin, d-Calcium Pantothenate, Ascorbic Acid, Riboflavin Supplement, Thiamine Mononitrate, Pyridoxine Hydrochloride, Biotin), Minerals (Zinc Proteinate, Iron Proteinate, Cobalt Proteinate, Copper Proteinate, Manganese Proteinate, Magnesium Proteniate, Calcium Iodate, Sodium Selenite), Dried Lactobacillus acidophilus Fermentation Product, Dried Bifidobacterium longum Fermentation Product, Dried Enterococcus faecium Fermentation Product, Dried Lactobacillus plantarum Fermentation Product. Crude Protein 33.0% (Min), Crude Fat 18.0% (Min), Crude Fiber 6.5% (Max), Moisture 10.0% (Max), Ash 6.5% (Max), Taurine 0.1% (Min), Omega 6 Fatty Acids* 3.1% (Min), Omega 3 Fatty Acids* 0.50% (Min) *Not recognized as an essential nutrient by the AAFCO Cat Food Nutrient Profiles. It replaced eggs with chicken liver as second ingredient. As the first ingredient (chicken) loses weight after being cooked, chicken liver takes most of the formula. 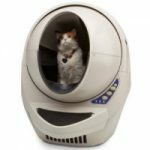 Too much liver is toxic for cats. Not a good change. It replaced pea protein with dried egg product as third ingredient. The third ingredient takes most of the formula together with the second ingredient due to the first ingredient “chicken” adding mostly water weight. Dried egg product is a “by-product” which means a waste from other industrial processing so it’s not a good quality ingredient for your cat. Not a good change. It replaced vegetable broth with dried peas as forth ingredient. A little better change since vegetable broth gets mostly evaporated and doesn’t provide much protein. 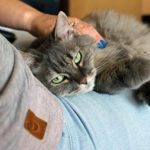 Although cats don’t really eat carbs and they need mostly animal protein, peas is a good alternative vegetable source of protein, low-glycemic. It won’t cause peaks in the blood sugar. Good change. It replaced chicken fat with dried chickpeas as fifth ingredient. Not a good change considering that cats need crude fats in their diet. Also, the formula has already a carbohydrate “peas”. Adding another carbohydrate is too much. Not a good change. It replaced whole peas with soy protein concentrate as sixth ingredient. Very bad change. Make anything related to soy stay away from your cat. It eliminated the essential amino-acid Methionine from the list of ingredients. Bad change. It reduced crude protein from 33% to 32%. Not good. 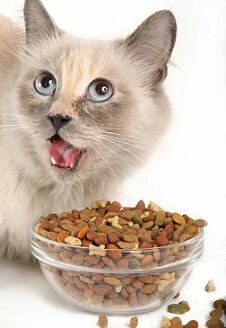 Cats need protein, and reducing this important nutrient it’s not a good change. It reduced crude fat from 18% to 13%. Not good. Cats need an animal source of fats in their diet. They get the energy from fats and NOT from carbs. It reduced crude fiber from 6.5% to 5%. Good change. Since the new formula contains less protein, less fiber is needed. Fiber helps to create pancreatic enzymes to digest proteins. It increased Ash from 6.5% max to 7.5% max. Not good. Too much ash could cause Feline Lower Urinary Tract Disease. Ratio Omega-3/ Omega-6 increased to 33% instead 16% in the past. Considering the ideal of 20% this change is not good. It may cause inflammation and that’s why they included vitamin E in the recipe. It’s much better a proper EPA:DHA ratio than adding more synthetic supplements. 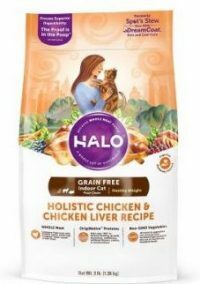 What are the Pros and Cons of Halo Holistic Chicken & Chicken Liver? The formula has less ingredients than previous. EPA:DHA ratio is too high. The recipe includes soy protein concentrate. Even though this is just the protein of soy, I still prefer to keep soy away from my cat. 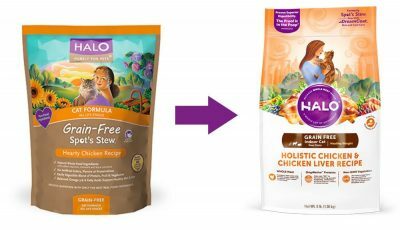 Halo Holistic Chicken & Chicken Liver did significant changes in the formula in comparison to the old Halo Spot’s Stew Hearty Chicken recipe. I am not a fan of the new recipe because it decreased the proteins, the animal fats, it increased the EPA:DHA ratio so it needed to add vitamin E because of it. 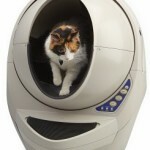 Additionally, it increased the Ash content which is not good for a healthy urinary system, especially in male cats. Also, since the first ingredient gets reduced in percentage after being cooked most of this recipe is chicken liver and dried egg product. Both are not good ingredients because too much liver is not good for cats and egg by-product is not a good quality source of protein either. In my opinion as a cat owner, I don’t think this formula changed in the right direction. I can’t include this recipe on my list because of that.